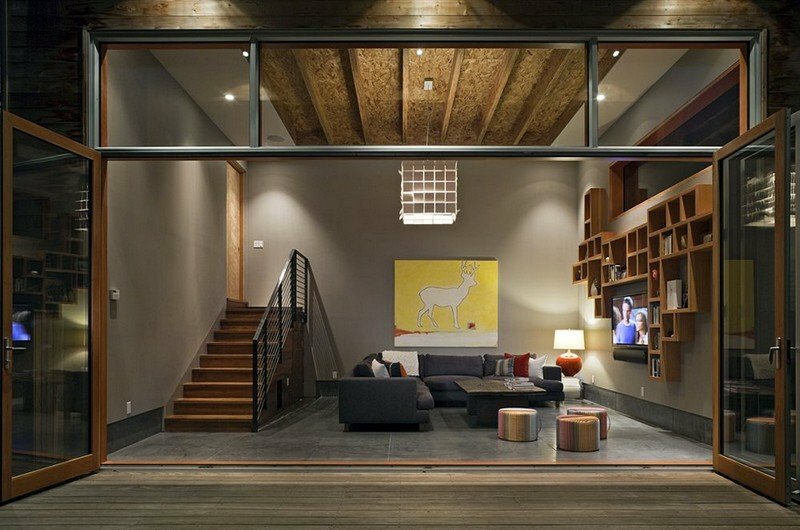 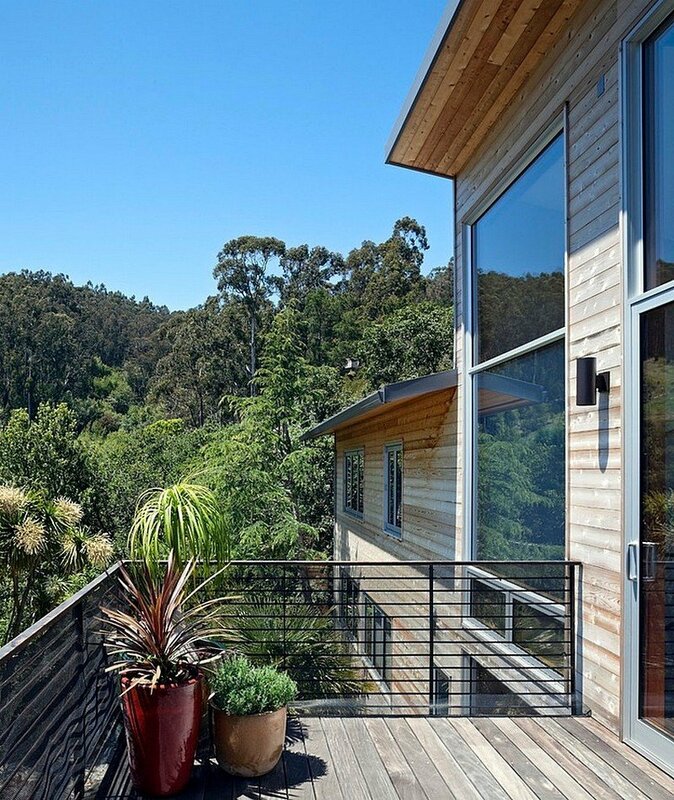 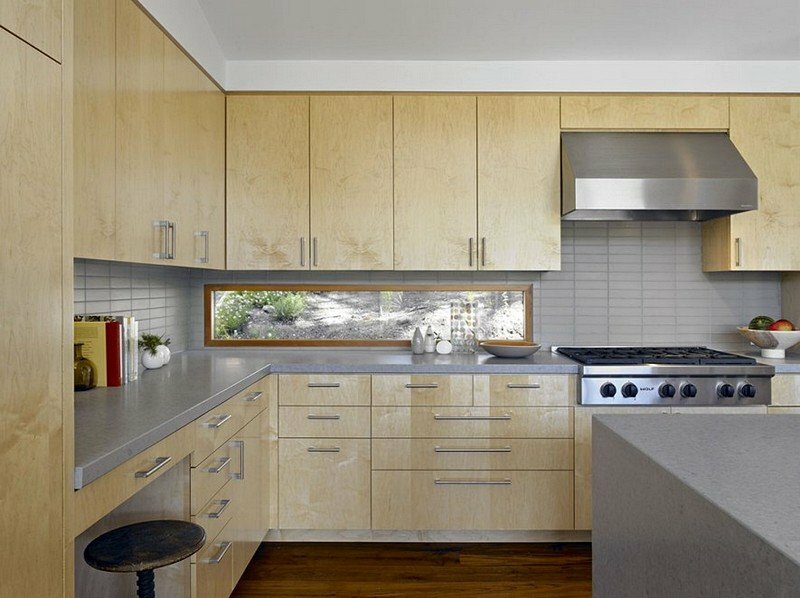 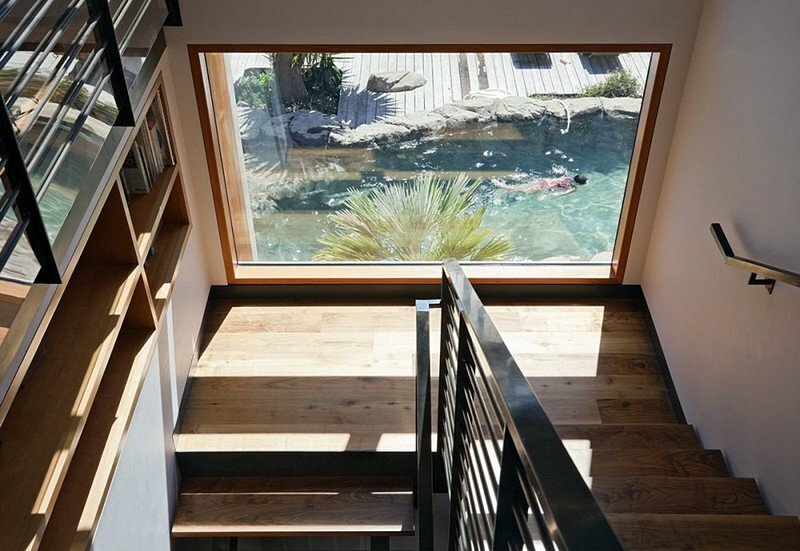 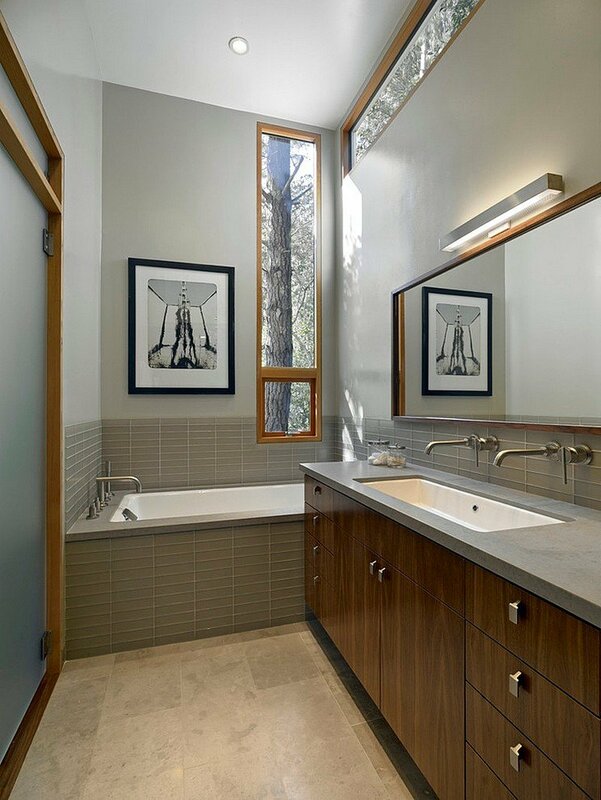 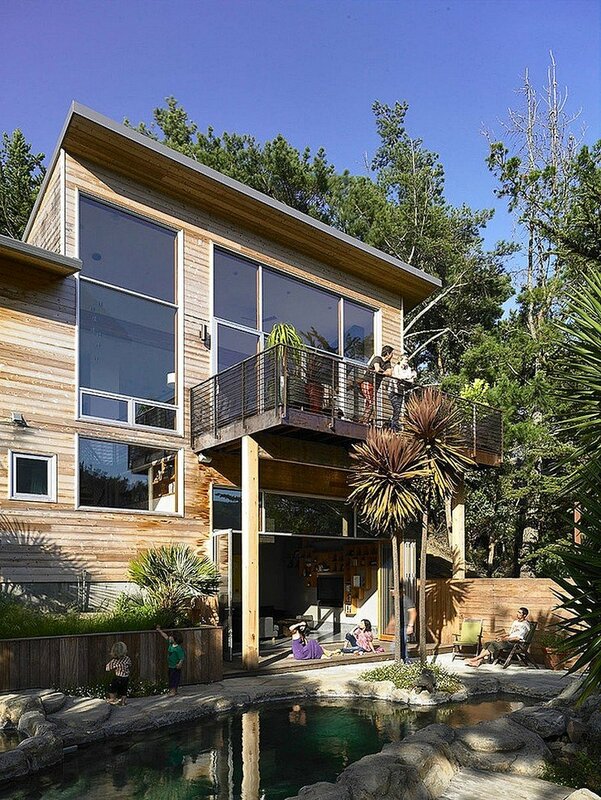 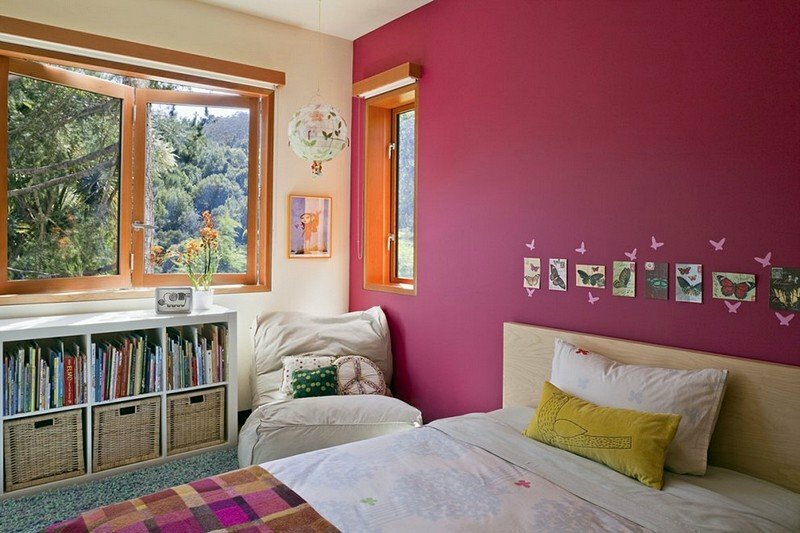 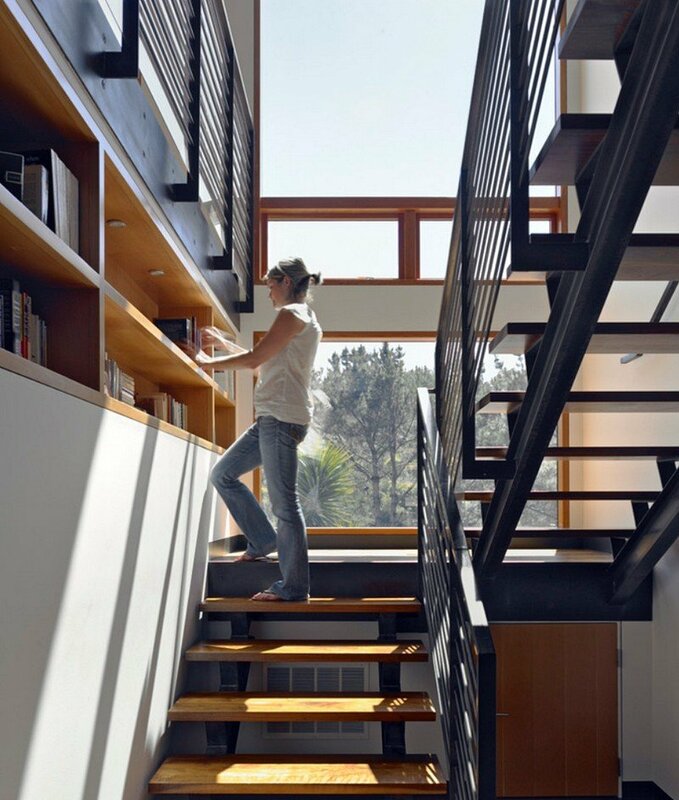 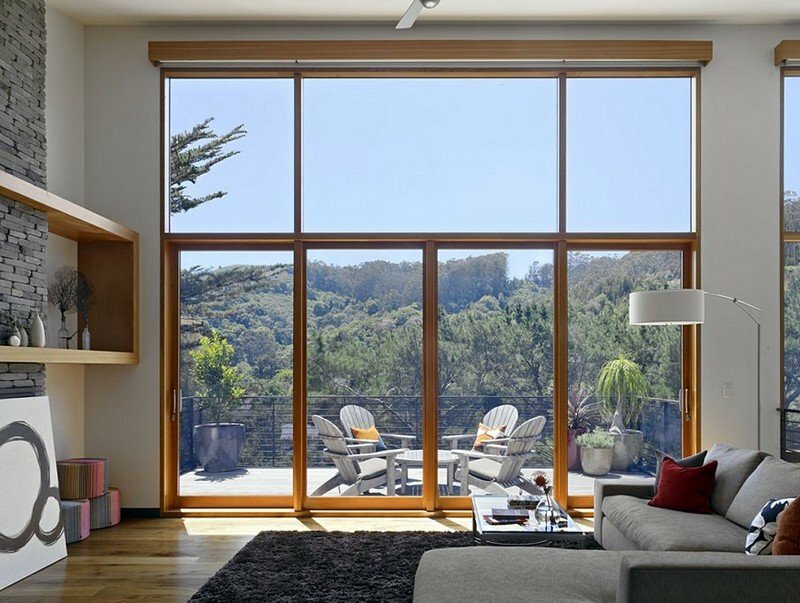 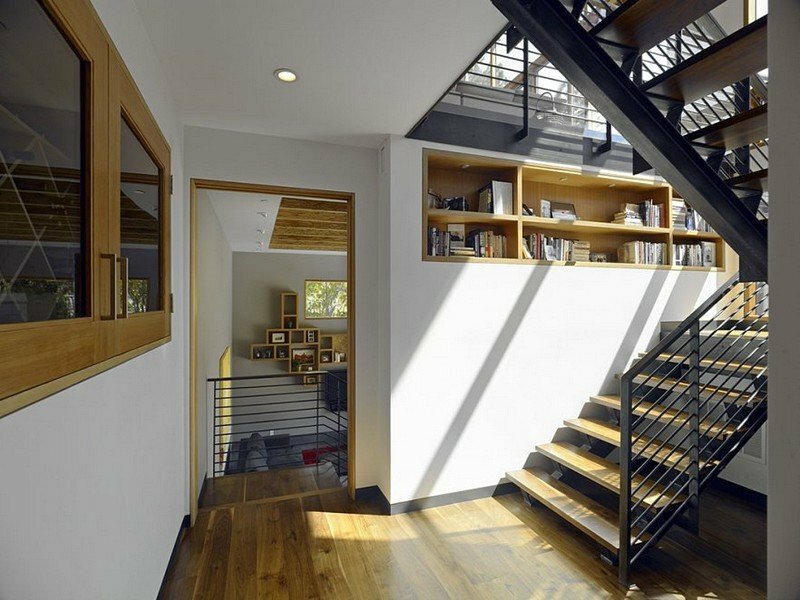 Located in Marin County, Mill Valley House house was designed San Francisco-based Yamamar Design. 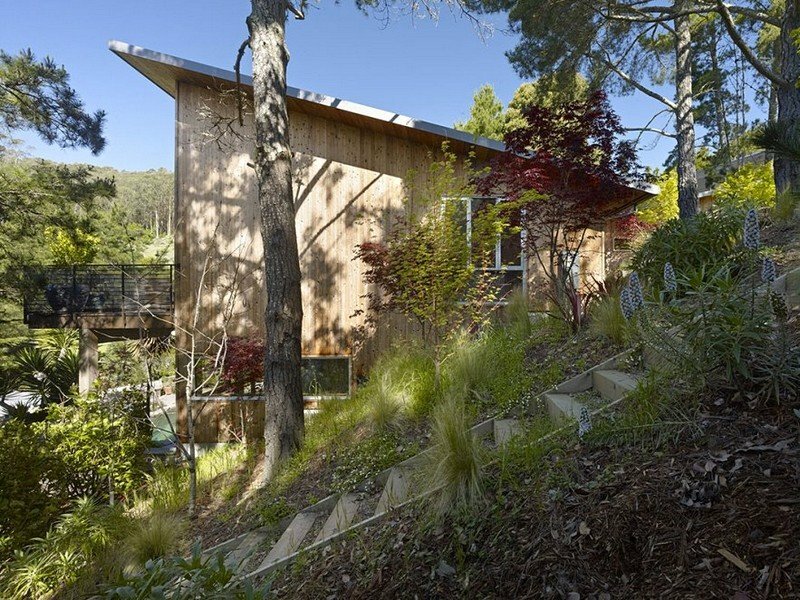 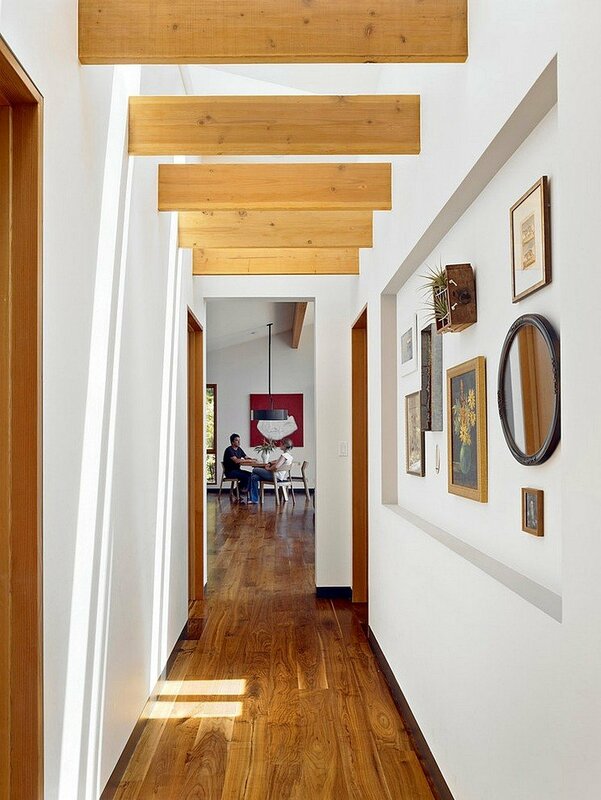 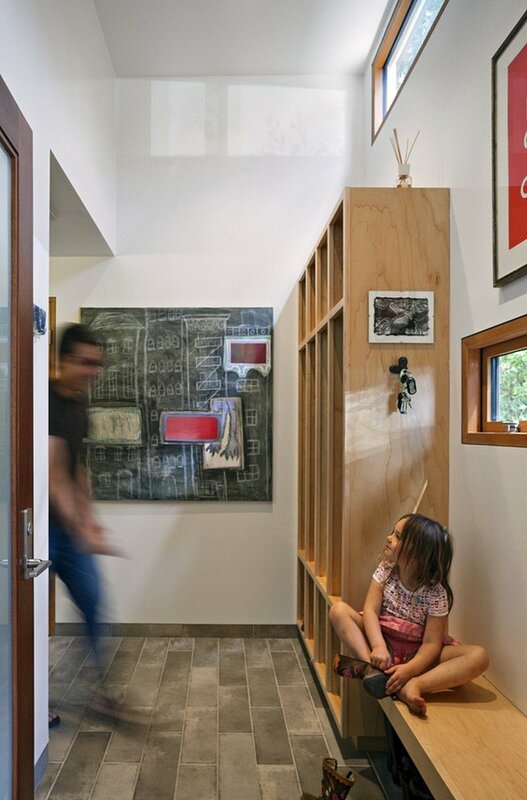 From the architect: Two opposing roofs define public and private zones in this Marin County home for a filmmaker and painter couple and their 2 small children. 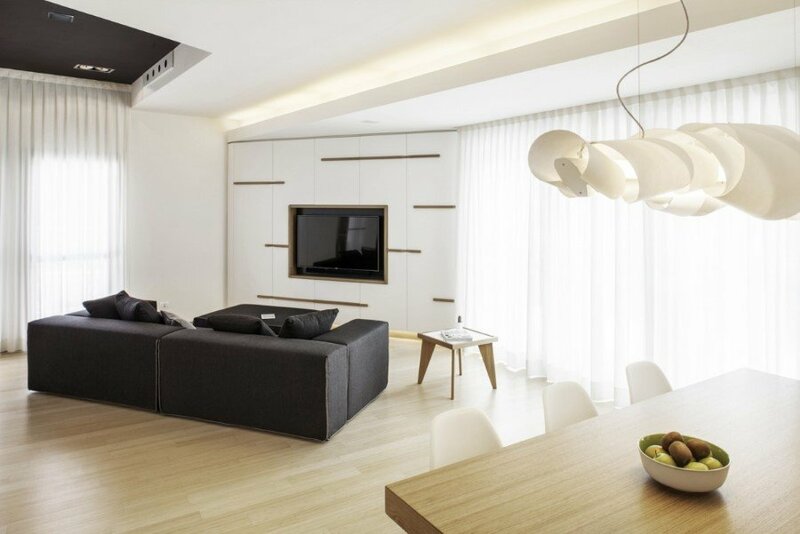 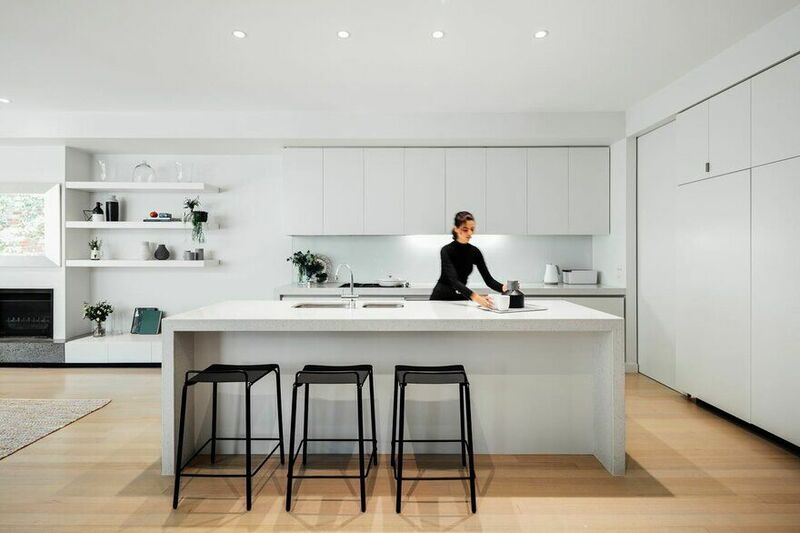 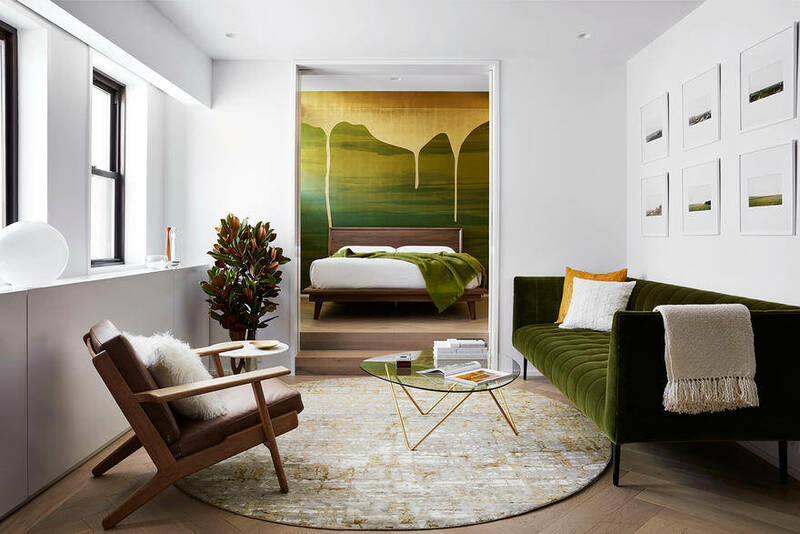 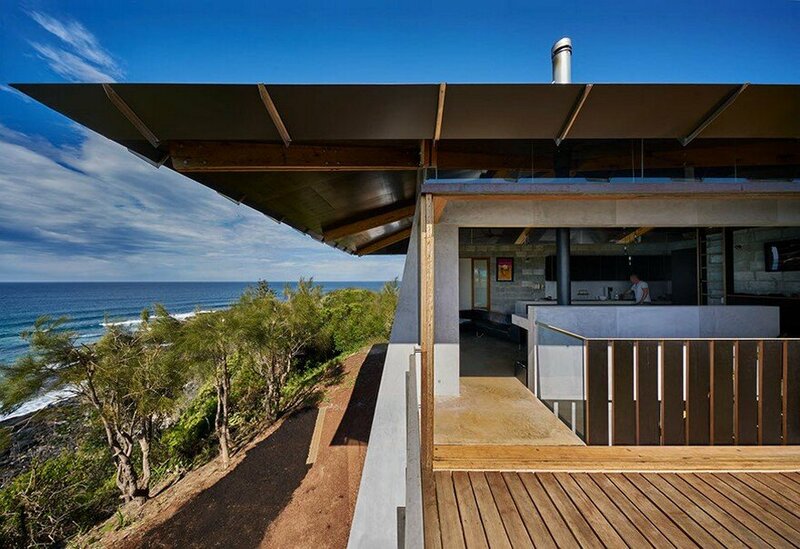 We were inspired by architect Glenn Murcutt’s notion that a well designed home requires both ‘prospect’ and ‘refuge’. 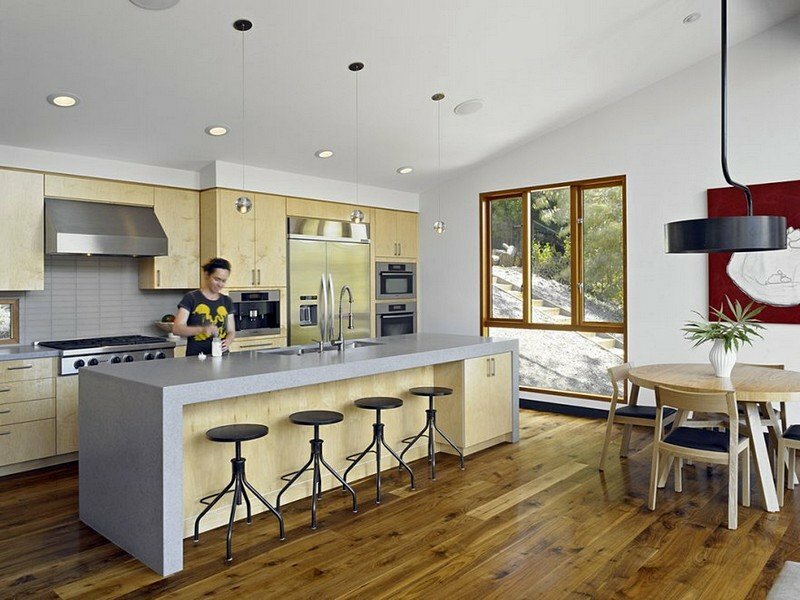 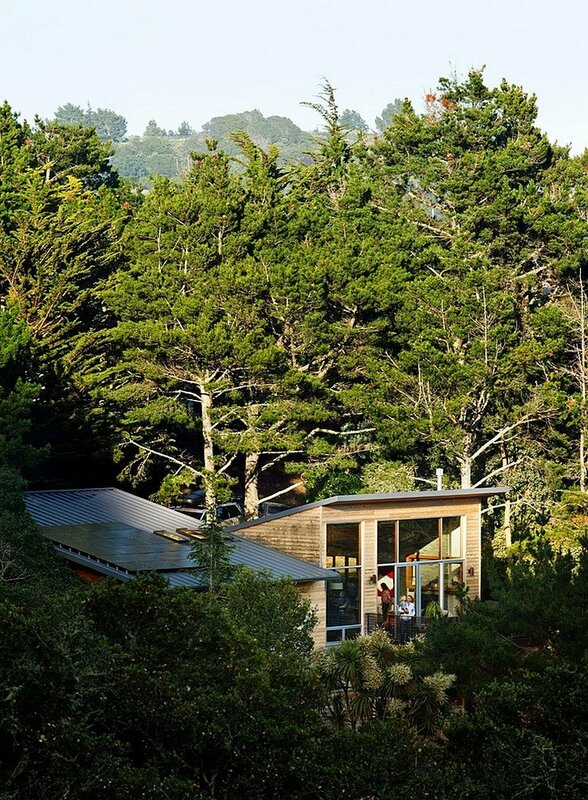 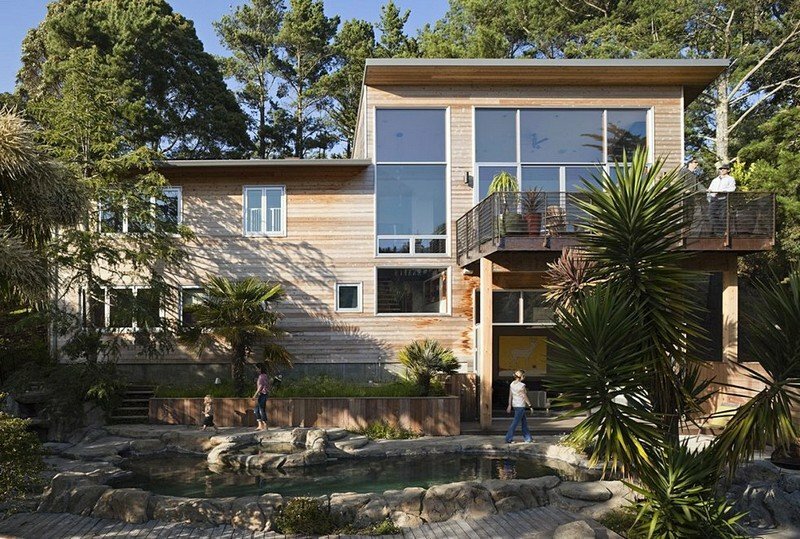 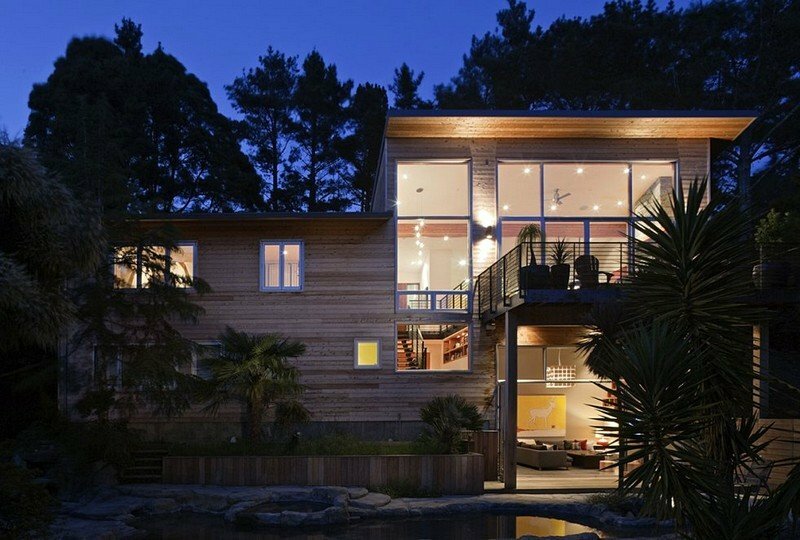 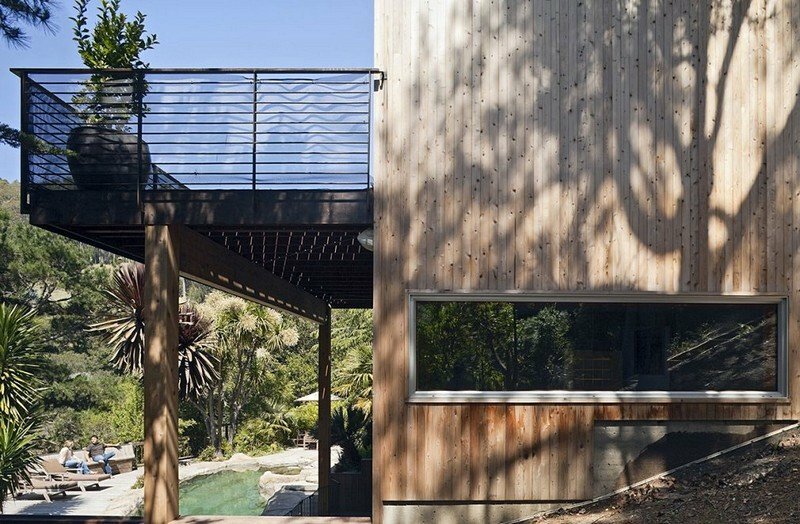 The house is sited in densely wooded area, drinks in Southern light and the cleansed air of the Pacific just over the coastal ridge.